I can't tell you enough how much I have come to enjoy Biggby Coffee. I was a die hard Starbuck's fanatic always driving out of my way for my morning brew. 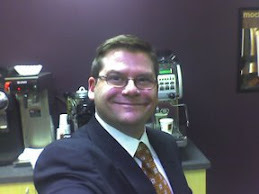 Then I moved, a new way to work was necessary, this is when I stumbled upon Biggby Coffee! 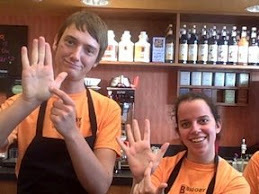 The Biggby Staff are fantastic! They are always upbeat, cheerful, and, informative. They get my day off to a great start...not to mention the Brew...always smooth, brewed to perfection, never bitter or burnt. YUM! I have grown to enjoy the morning stop so much that I find myself pulling in on the way home. Biggby you have won me over...So long Starbucks!